Recently I went to a local family history center. They’re run by the LDS church (and no, I’m not LDS). There’s small libraries in a lot of the LDS facilities around the country (and world) that can help people trace genealogy. A couple of older ladies took me under their wings and started me off using FamilySearch.org. Now I knew about that site, and already had a membership, but I didn’t know that it had some extra options and how to use those options to find more information. I found out that even though one tab might hold information, another tab doesn’t cross reference it. That’s a major tip! I hadn’t realized I’d need to do the search for names/dates/etc. on both tabs! I found out my third and fourth great-grandfathers’ correct names on my dad’s side. There was a little confusion in the paperwork I’d inherited so the wrong man’s name was listed with a question mark. Neither, however, had anything to do with coming from Scotland. But getting those names did help me solidify that particular branch of my lineage. I’m pretty excited about that since that research gets me a little closer to finalizing my D.A.R. membership application. All the little details add up, you know. The local history center library offers hours to the public and there are folks that really enjoy digging into the mysteries of genealogy with me. That’s just plain fun! What I’m after is the ability to tell the stories behind the names, not just the names. I think it will be a lot of fun to see if my ancestors left family lines behind in Scotland, Ireland, England, and Sweden for me to trace to people alive today. 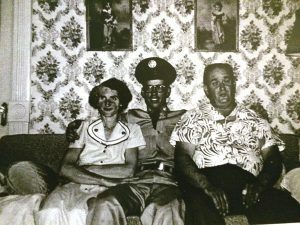 If you’re tracing your genealogy, what sites have actually provided documentation that proves relationships? If you’re interested in tracing your lineage, how far have you gotten? Have you traveled to any of the places your family hailed from? Next Article Next Article: Am I too old to go back to school?